The IQAC of the college chalks out the plan as stated above, keeping in view the proposed developments of the college in the span of all the academic sessions, and the documentation of the Annual Quality Assurance Report (AQAR). Though the successful implantation of the above is the prerogative of the institution, the IQAC helps channelise and organise the programmes to achieve a composite result. A Resolution was taken endorsing all the decisions. 1. An IQAC was temporarily formed in line with the NAAC prescriptions, but scope was left open for reconstitution of the Cell. 2. All development processes discussed were well in place. 3. Meetings of the Teachers’ Council and subject seminars were organised to discuss proper dissemination of the CBCS system. 4. Reshuffling of the IQAC subsequent on Prof. Shibani Bagchi’s leave on FDP will be done on the basis of the experience of the next incumbent . 1. In the absence of two teachers on FDP Leave, names of two other teachers came up for replacement, but have since been kept undeclared in view of the dissolution of the Governing Body and possible appointment of an Administrator. 2. The ICT-enabled Room of the college has been utilised by teachers of different disciplines as well as for academic discussions. 3.Pursuits, the academic journal has been made a fully peer-reviewed journal. 4. The Academic Journal is yet to be organised as per the new UGC recommended CBCS curriculum. At the outset, the resolution taken in the last meeting on 18.09.2017. was read out and accepted unanimously. The Coordinator of the IQAC stressed the need to re-constitute the IQAC in view of the latest guidelines of NAAC. It required a fresh selection of Members and chalking out of the functions and apportionment of responsibilities. Accordingly, a proposal was tabled for the induction of three new teachers :Prof. Monoranjan Naskar, Dr. Rajdeep Maiti and Dr. Sudip Banerjee in the IQAC. The proposal was unanimously accepted, but it was also resolved that in view of the reconstruction of the Governing Body, the induction process would be deferred till further notification. The meeting also mulled the provisions for induction of more members if there was room for the same, and it was resolved that a final decision would be taken in due course. The Vice Principal raised the point of utilisation of the Virtual Class room which was almost ready by installing more gadgets, if necessary and by introducing classes at the earliest. The proposal was unanimously accepted and a resolution was taken to this effect. 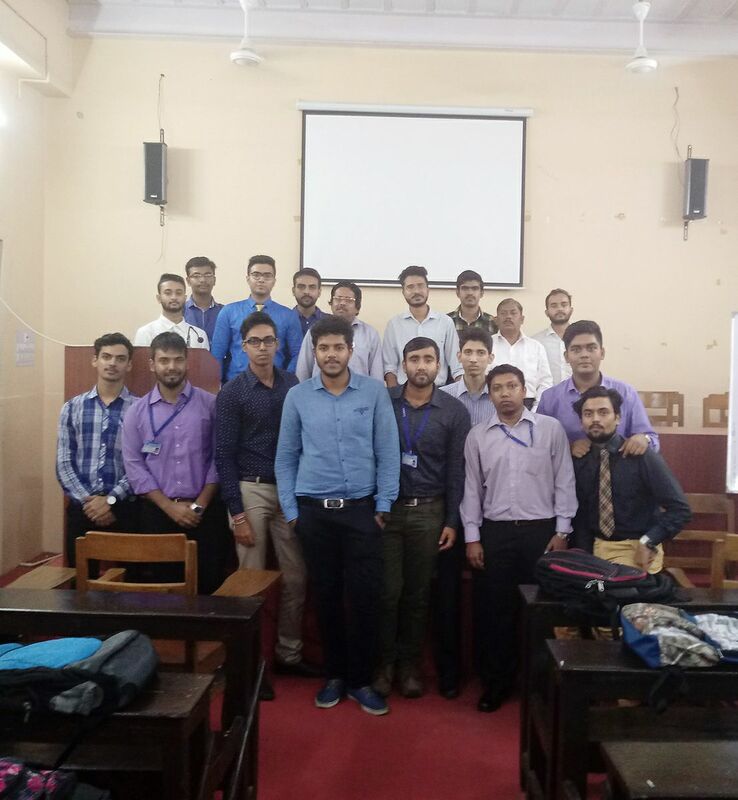 One of the members raised the importance of the introduction of self-financed Courses: preferably MBA and IGNOU-operated courses. The idea was welcomed, but it was resolved that a thorough survey of the infrastructural framework of the college was needed before a final decision was taken in this regard. The Principal proposed that a booklet comprising articles and project reports of students be published to provide academic incentive to them. It was unanimously accepted. Finally, some members expressed concern about proper monitoring and handling of the Grievance Redressal Cell, which did not work for a year properly. It was resolved that it would be reconstituted comprising teachers and students. The Virtual Classroom was embellished by the installation of some gadgets supervised by groups specialised for this act. Some specialised training for teachers is on the cards for fruitful utilisation of the room. The college has been running a Certificate Course on Spoken and Communicative English and Soft Skills for the last three years. However, the college needed some other Self-financed courses like MBA and IGNOU-operated courses. It was found that since the building hosted two other institutions apart from the college, it presently lacked the infrastructural framework suitable for introducing such courses. The prospect has been kept in abeyance for the time being. As for the Principal’s suggestion about publication of students’ project papers, the college has already started the process of grooming students for this purpose.